Jorianne's exciting events include Super Psychic Séance Sundays; Jorianne's own online radio show Your Psychic Connection on www.Blogtalkradio.com/Joriannethecoffeepsychic every Wednesday night at 8:00 pm CST ; psychic development classes; paranormal investigations, radio appearances nationwide, and many other events. Attend one of these events, or contact Jorianne today to book your own reading, house party, séance, reiki, or other service. 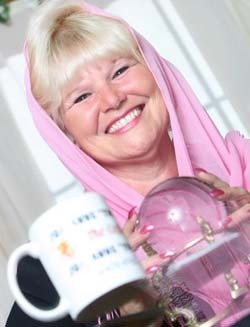 Super Psychic Séance Sundays are scheduled at 6:30 p.m. CST on the last Sunday of every month, at Jorianne's house. Your Psychic Connection with Jorianne is on www.Blogtalkradio.com/Joriannethecoffeepsychic every Wednesday night at 8:00 pm CST.